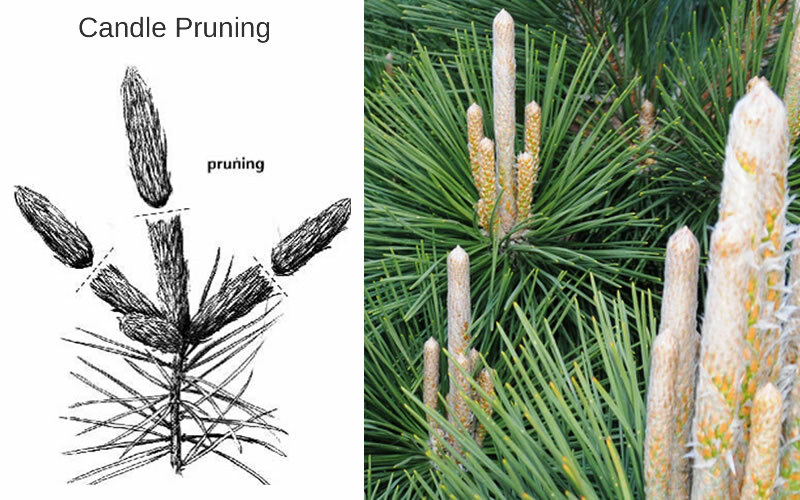 Pruning a pine is something that can be done one time annually by pruning the "candles" to a desired length. 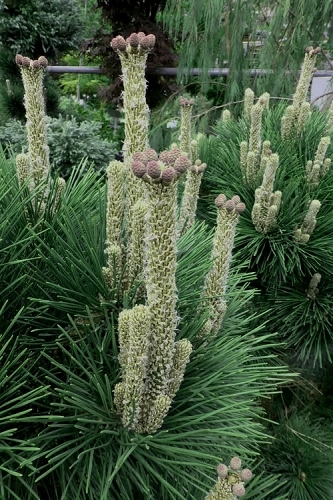 Candles on a pine are the tender upright shoots that emerge from the ends of the branches in spring. The candles are typically in bunches with one taller central candle surrounded by several shorter candles. The main central candle is the one that becomes the new, long, straight branch while the smaller candles become side branches. If you would like to maintain a more dense and compact pine the main central candles can be cut back to half their length. To make your cut on a candle, use sharp bypass hand pruners to desired length, or use your finger tips to snap them off. IMPORTANT NOTE: Whichever method you use, do so while the candles are green, before they turn to brown wood in summer. If you prune too late, the cut back candles will not form buds for next years growth and will end up dying within a few years. So just make sure to prune candles in spring while they are still green. The percentage of the candle you cut off will reduce the eventual length of the candle by that amount. For example, if you cut the candle to half it's length it will only grow to half the size it would've grown to otherwise. 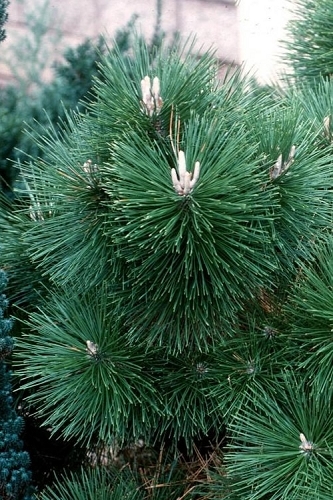 Some pines can be pruned to form more of a mound than a tree. This process should start when the pine is young, before it has become a tree. To accomplish this, start by reducing the length of the tallest candles that are growing beyond the profile of the shrub. Shorter candles that are within the profile of the shrub can be left alone to fill in space. If your pine grows too dense you can remove most of the candles at the end of branches, leaving only one candle per branch. For candles inside the shrub leave only one or two candles per branch. If your pine looks thin and sparse leave all the innermost candles and completely remove the main central candles at the ends of all the branches. These shorter candles that surround the main central candle can be left alone, unless you want to shorten them as well to keep your pine from adding much size at all. Note: If your pine has gaps that are void of branches, and you want these empty spaces to fill in, you have to leave candles on other nearby branches that are growing in the direction of the void. Hope this information was helpful. Don't hesitate to contact us if you need more details.